Microsoft has just confirmed the release date for Windows 8. The new operating system that will end up on desktop and notebook computers, as well as tablets across the globe will arrive in October. The announcement was made at Microsoft’s Worldwide Partner Conference 2012 in Toronto by chief financial officer Tami Reller. 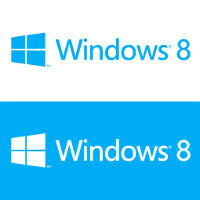 Microsoft is also bringing the Windows 8 RTM (Release to Manufacturing) in the first week of August. The RTM version is basically the final version of the operating system, released to manufacturers. They can then start work on getting it onto their devices. Up until now, we only officially knew that Microsoft is releasing Windows 8 somewhere in the second half of the year, and now finally it’s all pinned down to the month. Note that while Windows Phone 8 and Windows 8 use the same kernel and share many features, there is still a thin line that separates the two platforms. Windows Phone 8 will be strictly for smartphones, while Windows 8 that just got confirmed for October will end up on tablets. YAY I'm so excited! Please, don't let me down MS! I'm not sure how people are going to take this since it is such a big change, but I hope it works out! Big change...yeah...will miss start button! Can't wait! I've enjoyed the W8 Release Preview so far; apps and UI look gorgeous even on my desktop. There's a reason it's called a Release Preview and not the final version. OK I see, But not this amount of bug in a pre-release version, right? I barely have any problems in the pre-release version and it's running just fine. Like Muhannad stated in Comment #9, I'm barely experiencing any bugs in the Release Preview. The worst problem I notice is Google Chrome not showing any tabs for a second until I click on the window again. Other than that, it's been a perfectly smooth experience. So please feel free to explain the bugs you are currently experiencing, if you are actually even using the Release Preview at all. Im just looking at the thumbs down marks on peoples comments. I don't get it. Are u aware of how major this OS is. I can't wait either. And yes I will be picking up a surface tablet. I'm probably going to install this on my laptop and keep my desktop at Windows 7. I like the direction Microsoft is going with Windows and the fact that I can still use the traditional desktop mode is a plus. Metro UI + desktop FTW.!!! Snow, if you don't mind re-installing again when the official consumer release of Windows 8 comes out in October, I would recommend installing the Release Preview now. Beats Vista, and should run well on your hardware if Vista runs well right now.